Our core aim is to stop any more deforestation to ensure that orangutans have a habitat for many years to come. 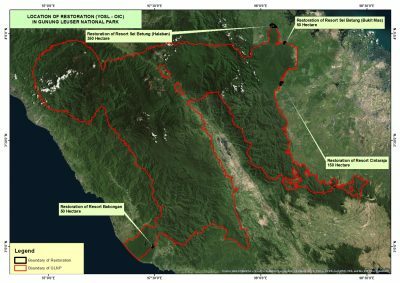 But of course the area surrounding Gunung Leuser and other pockets of forest where the orangutans live is too big to constantly police for deforestation. The national park rangers do their bit. Drone technology does its bit. 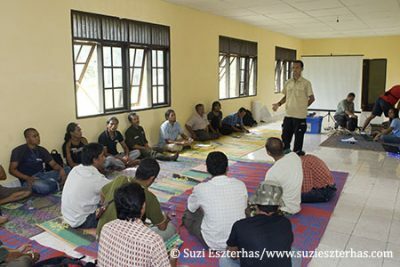 Villagers who care passionately about preserving the forest do their bit. The police and courts are starting to do their bit. But at the moment, until law enforcement improves, forest will continue to be destroyed. That’s not to say that we just accept that and give up. Of course we are always working behind the scenes to try to prevent road, bridge or dam constructions, palm oil concessions being granted, mining permits being issued. But alongside that, we are replanting areas where rainforest trees have been illegally chopped down. Where deforestation has occurred, it does not need to stay that way. 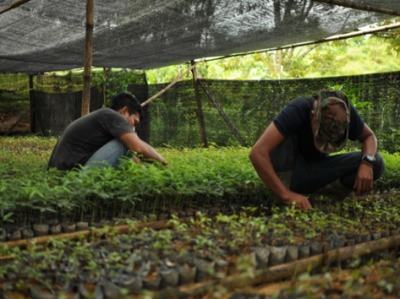 What’s the process of reforestation? Meeting with the local park rangers and police to ensure everyone is in agreement that plantation is illegal and needs reforesting. This is the stage we have reached in Sineubeuk Kranji, Bukit Gadang and Singkil. The locals are helping to construct the reforestation cabins. The team in Baharok have cleared the area and built the cabin and are now in the process of planting small seedlings. 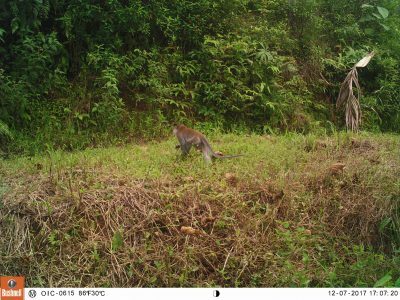 Cinta Raja III site is at this stage and already, the camera traps are showing the return of birds and small mammals. 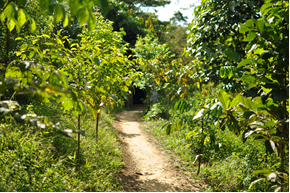 In this site, the team and local village volunteers have between them have already planted 33,000 seedlings in the reforestation zone. This is around 160 seedlings a day just in terms of the transplanting. Before that can happen, the seeds have to be found and grown into viable seedlings. This gives you an idea of the scale of the task involved in reforesting a 30 hectare plot. (That’s 30 Trafalgar Squares if it helps to picture it). 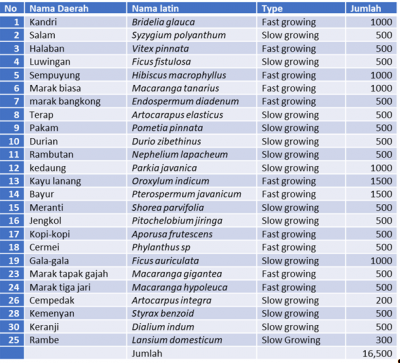 Attached is a list of all the different tree species planted in Cinta Raja III site between October-December 2017. It gives an insight into the level of planning and co-ordination which is needed to replicate a natural rainforest. 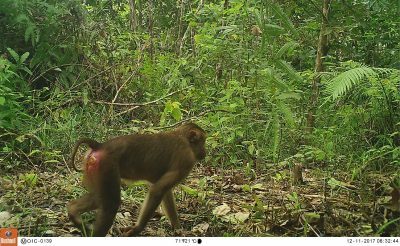 Bukit Mas, which used to be an oil palm plantation, is in this second phase of regrowth and has seen larger animals return. This doesn’t mean the site can be abandoned, however, as it needs careful management until it is fully re-established as a rainforest to ensure an even balance of tree species. Not only does this ensure a varied diet for the local animals, but it most closely replicate the natural biodiversity of a pristine rainforest, therefore ensuring the best possible conditions for the flora and fauna to flourish. Sadly in November 2017, 3,000 healthy saplings were destroyed by flooding. These have since been replaced with 2,00 new seedlings to date and more will be grown to replace the. This perfectly illustrates how vulnerable a newly planted forest is. Has bigger trees been in situ, with a stronger root network, the flooding would not have swept away as much of the top soil or caused as much damage to the smaller trees. 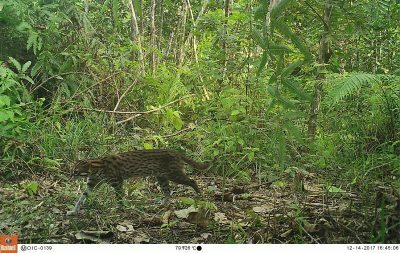 At the project in Halaban, where the first seedlings were planted around 5 years ago, there have been sightings of elephants, orangutans, wild boar and all sorts of different large-scale mammals – as sure sign that the forest is properly coming back to life.